We are a busy family. Although I'm a stay at home mom, I'm homeschooling two kids, help lead a homeschool group, have a baby, am involved in our church, and am training to be a doula. The kids are also in clubs and sports and on those nights when things are hectic, anything that makes dinner a little easier is great in my book! 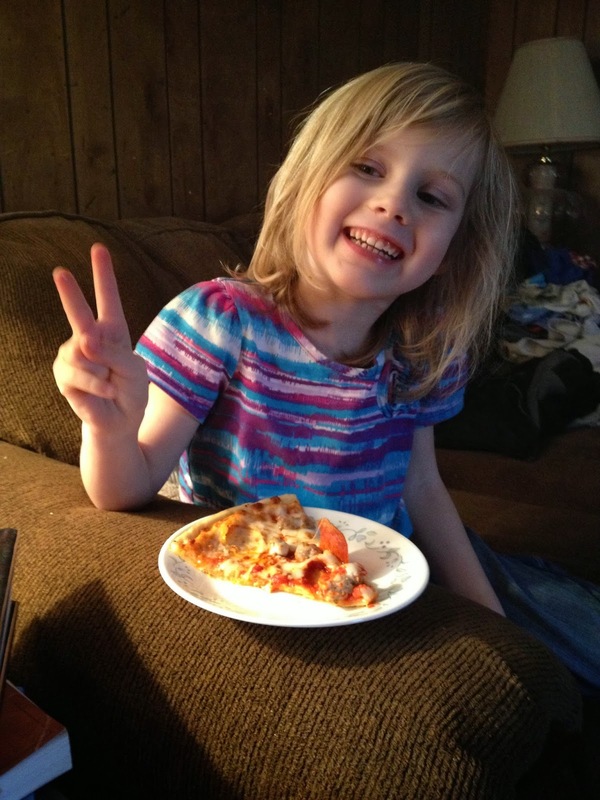 Pizza is an easy alternative to dining out and one of our favorite go-to dinners. 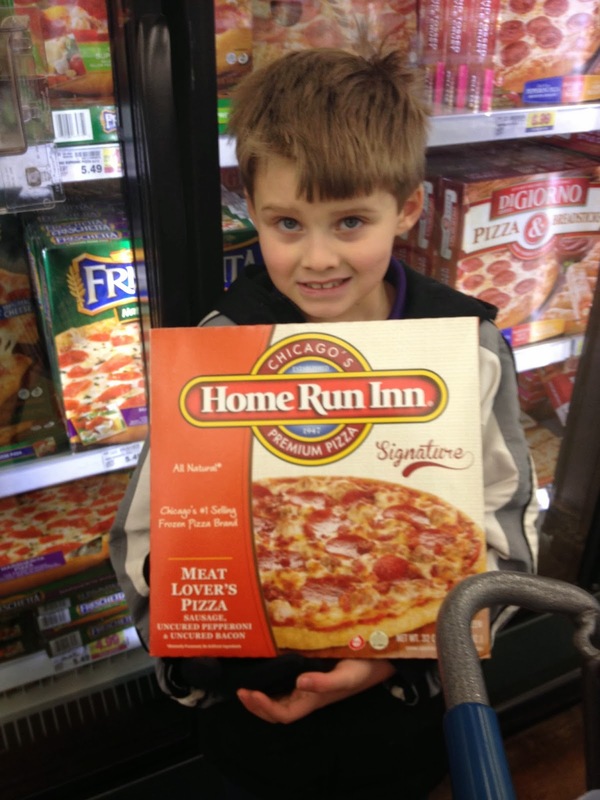 Home Run Inn Pizza is a family business (originally started in 1923) that expanded into frozen pizza making in the 1950's. They have a factory in Illinois where the pizzas are made daily with all natural ingredients and no preservatives - always a good thing since pizza tends to be in the unhealthy category of foods. 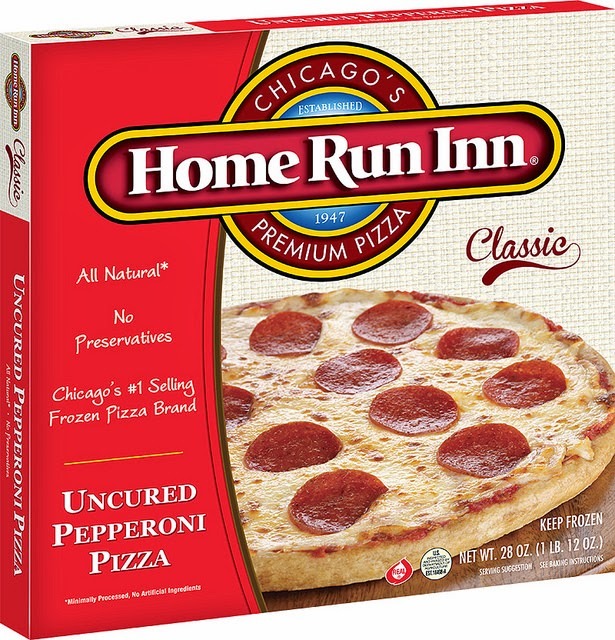 They're now the #1 selling frozen pizza brand in Chicago and highly rated by Consumer Reports. The kids had a great time picking out which pizza they wanted. Our local Kroger had several different varieties but they ended up choosing Sausage and Uncured Pepperoni Ultra Thin and Meat Lover's Signature. We cooked one during a busy weeknight and along with a little salad and some pretzels - we had a great and convenient dinner! (Alright, the kids might have skipped salad...sometimes I just don't argue over the food.) The crust was nice and crunchy and Ellie declared it to be "doolicious." I could definitely see this becoming the busy night staple! 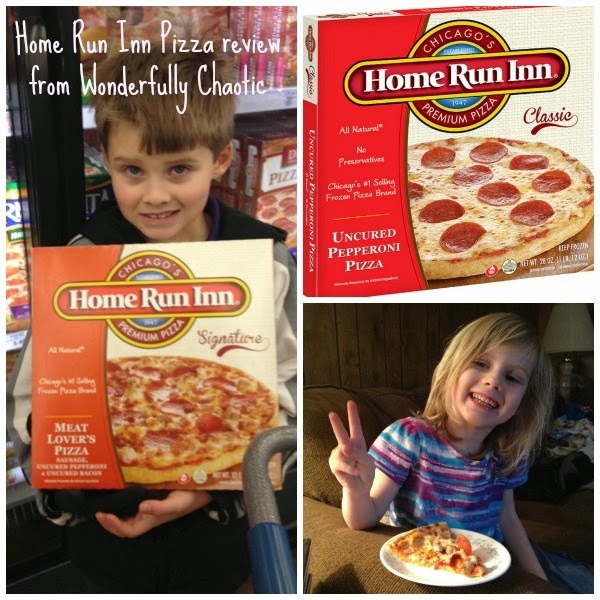 Check out Home Run Inn Pizza for yourself and be sure to sound off in the comments on which kind sounds best to you!